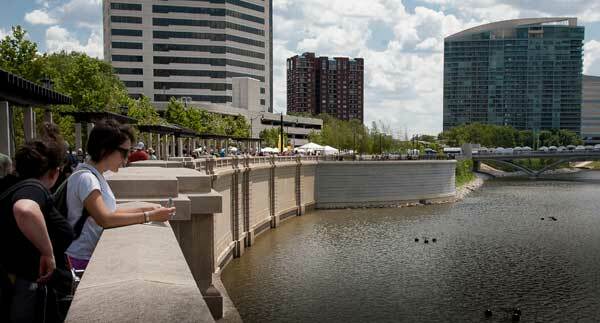 Amuch awaited renovation of a large stretch of the Scioto River in downtown Columbus, partially opened in 2011 with more opening in time for the 200th Birthday Celebration of the city in 2012. Known as the Scioto Mile, the new and improved section encompasses the river area from North Bank south to just below the new Main Street Bridge. Besides the beautifully redone walkway and streets, are 2 new bridges connecting east to west with completely dissimilar designs. Along the Mile are numerous fountains, benches even swings to spend a little time watching people or the many geese that swim up and down the river. 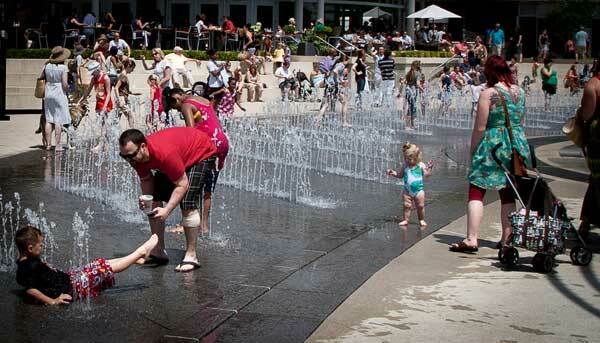 The iconic Bicentennial Park, that opened in time for the Nations Bicenntennial in 1776 includes a new series of interactive fountains, a new sound stage, and new eating establishments. The 15,000 square foot fountains all visitors looking to get their feet wet the opportunity of splashing through the constantly changing spray patterns that include water cascades, jets, unique lights and fog effects. 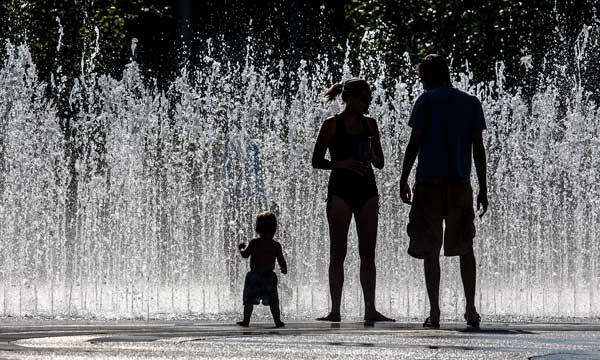 The fountains operate from around mid-April through mid-October and are weather dependent. Sunday - Wednesday: 8 a.m. - 10 p.m.
Thursday - Saturday 8 a.m. - 11 p.m. Bicentennial Park will offer a variety of outdoor activities throughout the summer months including outdoor concerts, and movies under the stars. A new tradition called the Grand Illumination Ceremony kicks off the Christmas holiday season with 1000s of lights and holiday decor illuminates the Scioto Mile beginning the end of November and runs throughout the holiday season. 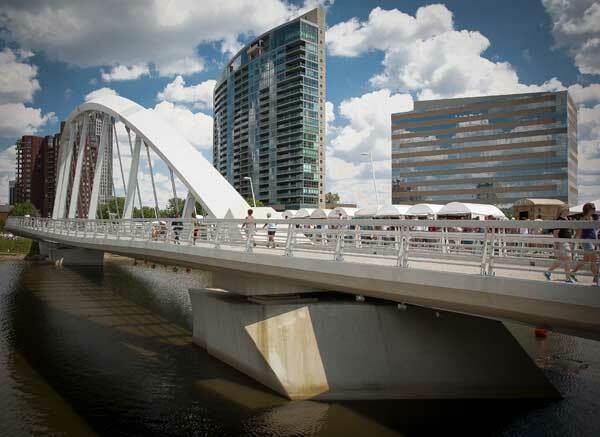 Beginning in 2012, the Columbus Arts Festival returned to the banks of the Scioto River and once again became one of the star summer events drawing 1000s of visitors and artisans from across the country. The 3 day event includes artisan booths, live performances, and miles of food along the river.